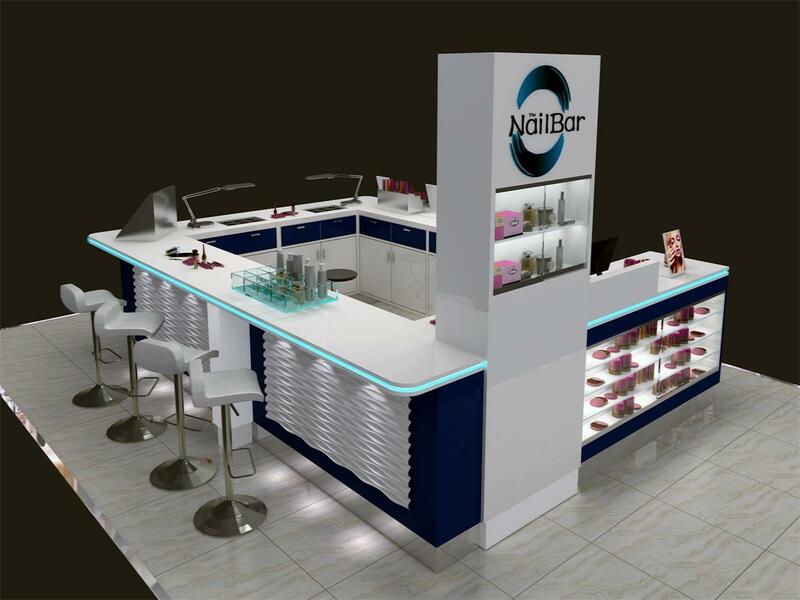 Mall nail bar kiosk made of MDF with wither baking paint and blue baking paint . The logo made of 3D acrylic with LED light inside . 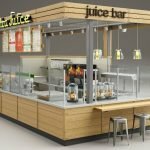 For each kiosk , in order to attract consumers and decorate , will add some light boxes , light logo, posters , acrylic letters etc . About water system , provide sink and water faucet as usual . If need a whole water system ( sink , faucet , tank , pump) , we also can provide. 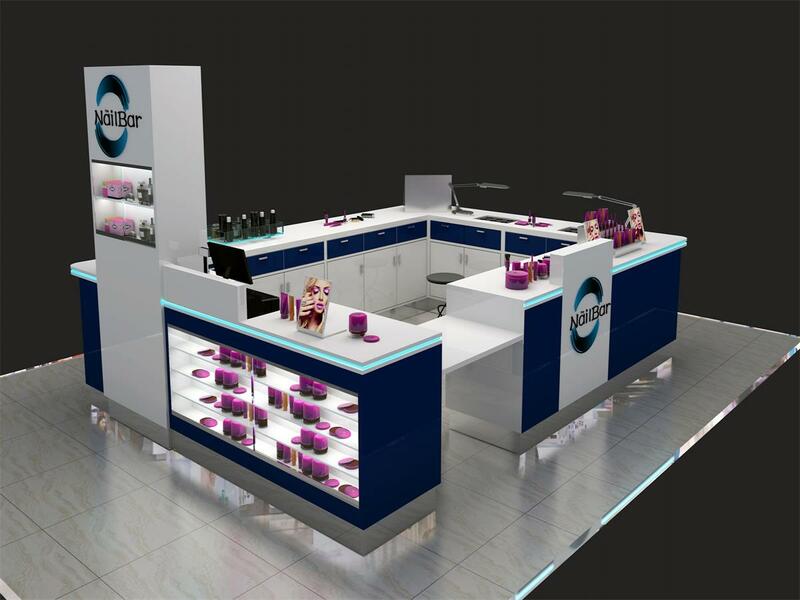 The nail bar kiosk used in shopping mall for nail salon beauty , nail polish service and so on . 1, can be made in light box, add fashionable poster. 2, can be made in displays to show goods. 3. Can be made in storage to store tools. 4. can stick on acrylic logo on it. Hollow out or stick on directly both ok.
5. Height: 1200-2000 mm as usual. 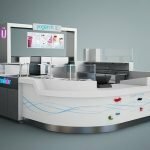 How can I order one customize mall nail bar kiosk from Unique ? 1 ,You need to contact our sales to discuss your specific requirement regarding the design. 2 , Our design team create and revise the design according to your comments. 3 , We sign the contract after the design has been approved. 4 ,You need to pay deposit. 5 , We building according to the approved drawing of goods design. 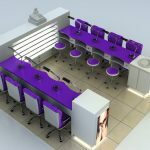 Plz contact us to get more design about nail bar kiosk , eyebrow threading kiosk , hair kiosk and so on.